Sup everyone, i just picked up my first mustang. 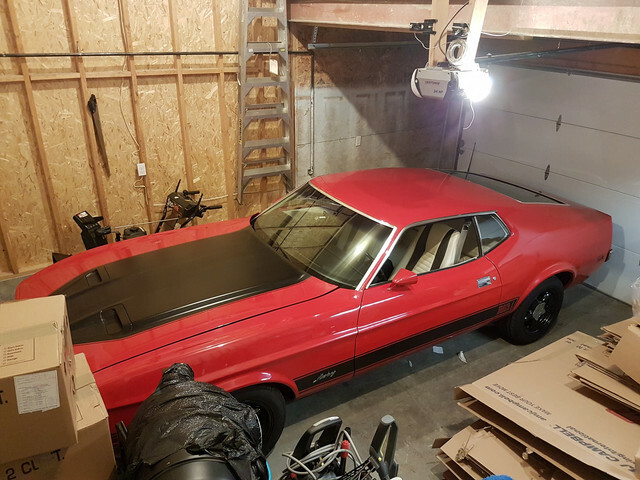 just got a 73 Mach 1, Q code, 351 cleveland, 4 speed, ram air. numbers matching to boot! more pics to come. Welcome from Iowa. Nice ride. Welcome from Illinois! Very nice! I have a 73 Q code 4 speed Mach also. Mine is pretty rough but is quite original. Looking forward to more pictures of yours. Nice! Welcome from Amsterdam, the Netherlands! welcome from delaware and nice find..